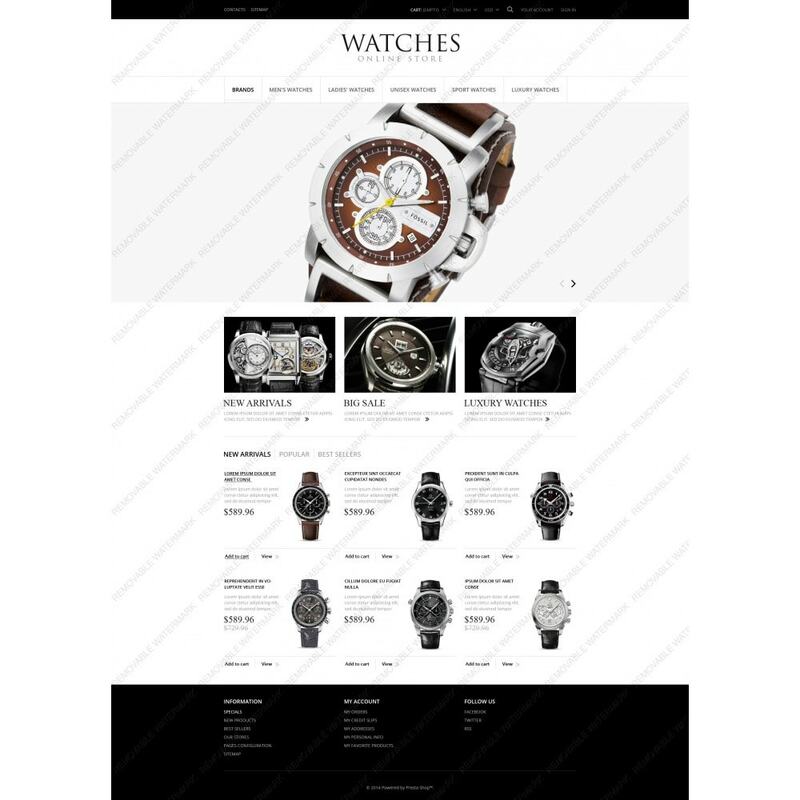 Watches are the main element of any watch store. There hardly is another opinion on the point. As you see, our designer also agrees with the statement. 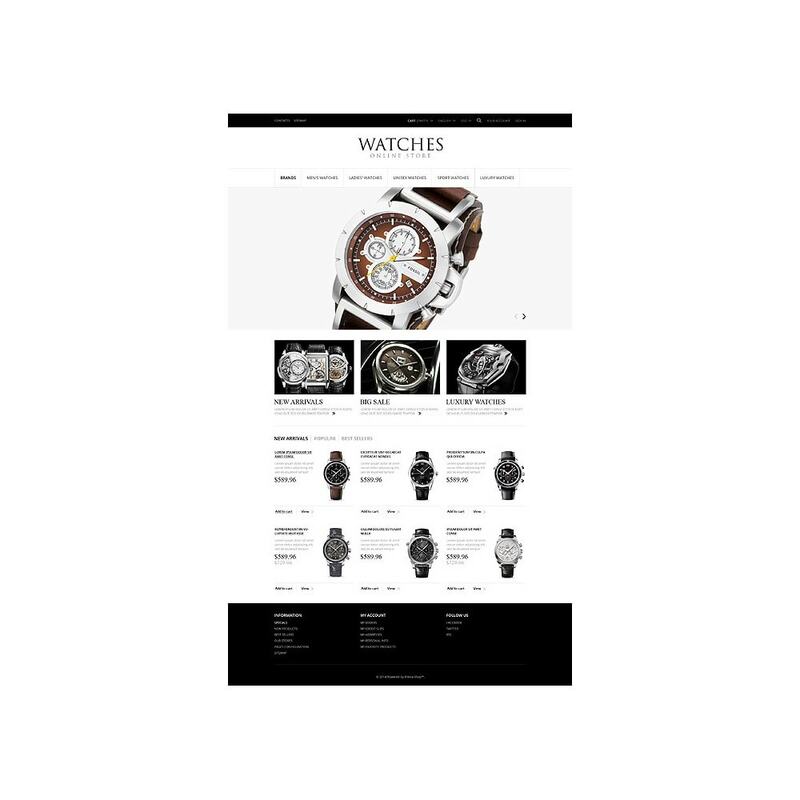 That's why there are three sliders on the home page that show the most luxury and accurate watches available. The upper slider is really huge, which makes deep impression on the viewer. You can see the model you like to the minor details. 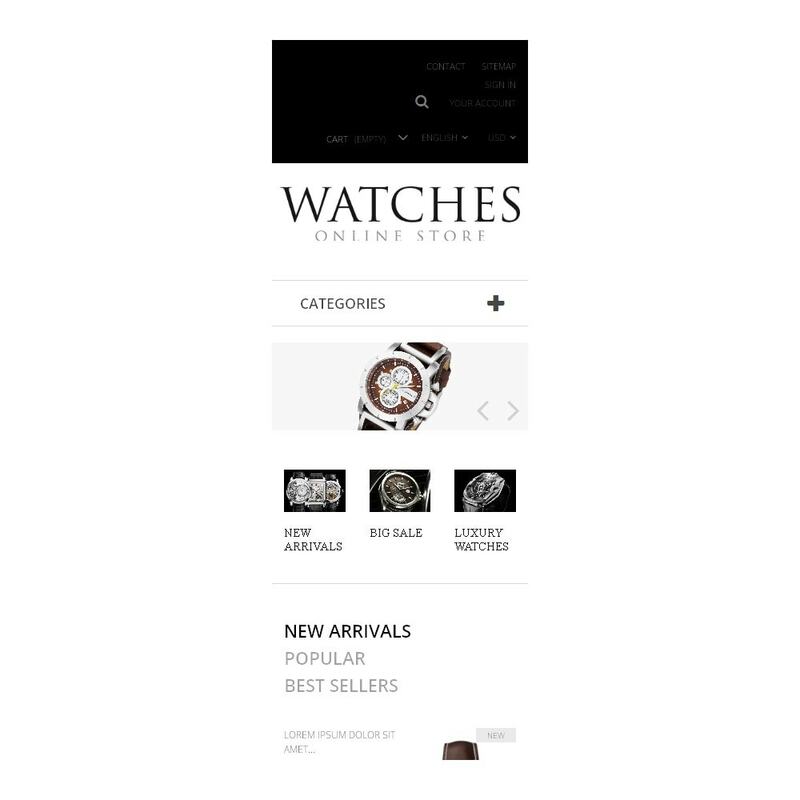 Banners also contain watch images, but there the items are placed over the black background which marks them out. Let us draw your attention to the template's typography. 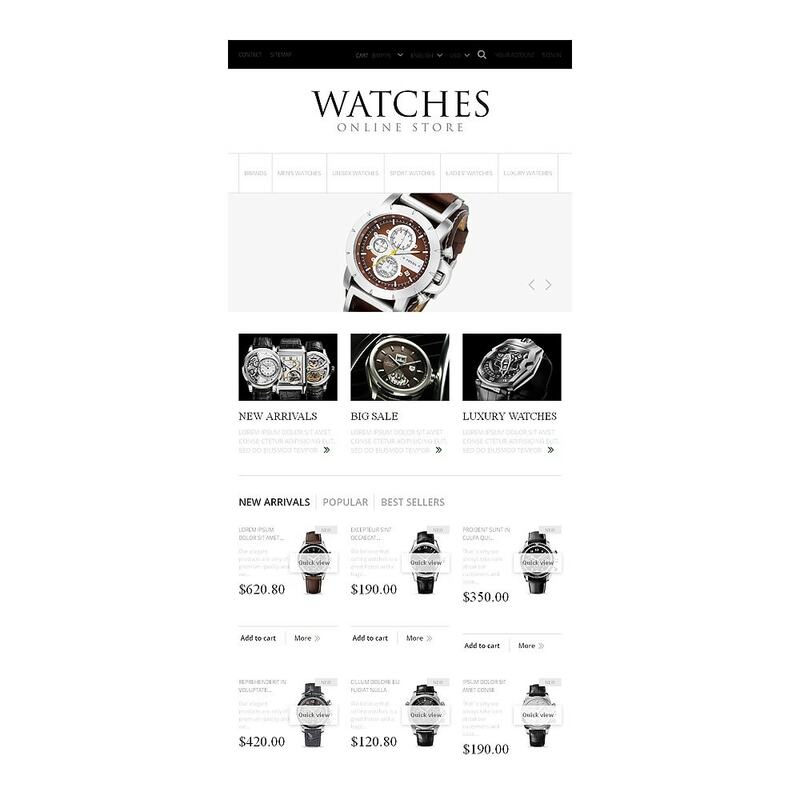 It is elegant and refined, which emphasizes that the items sold at the store are really exclusive. 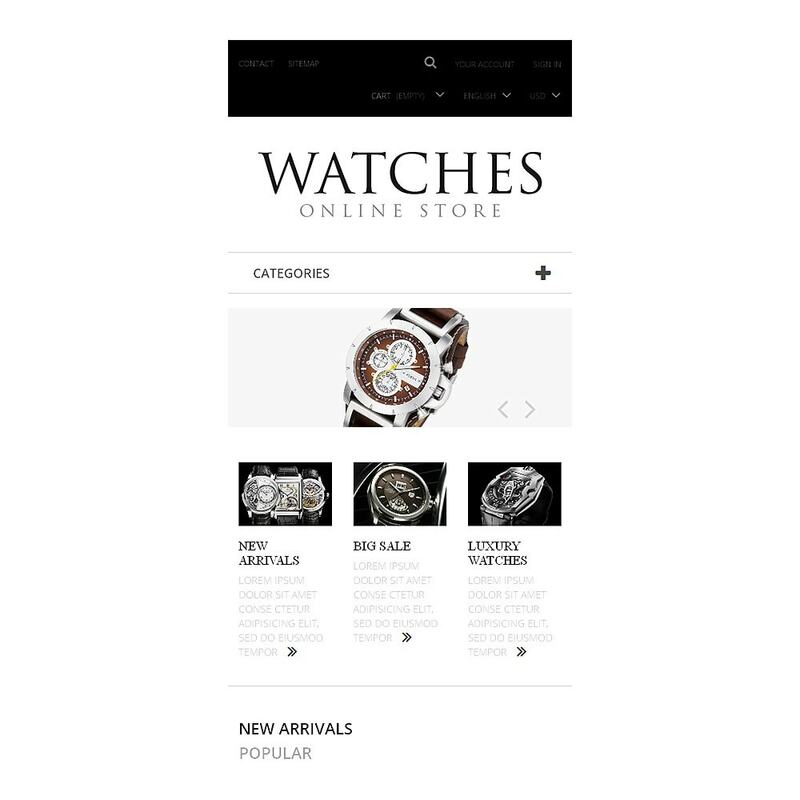 Does this store look like the one you need? So what are you thinking of? 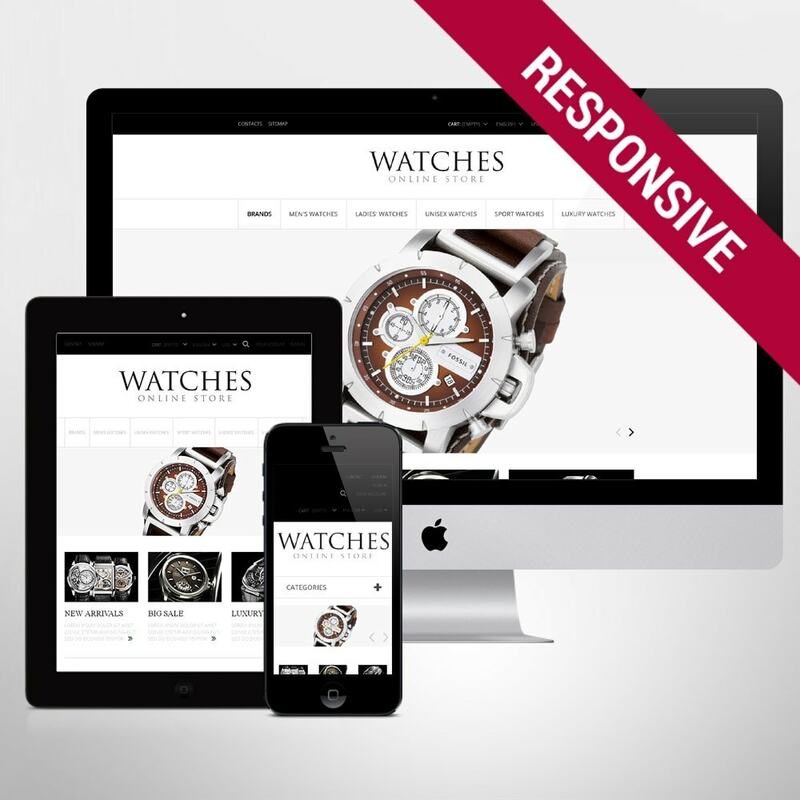 Buy it and start making business online. 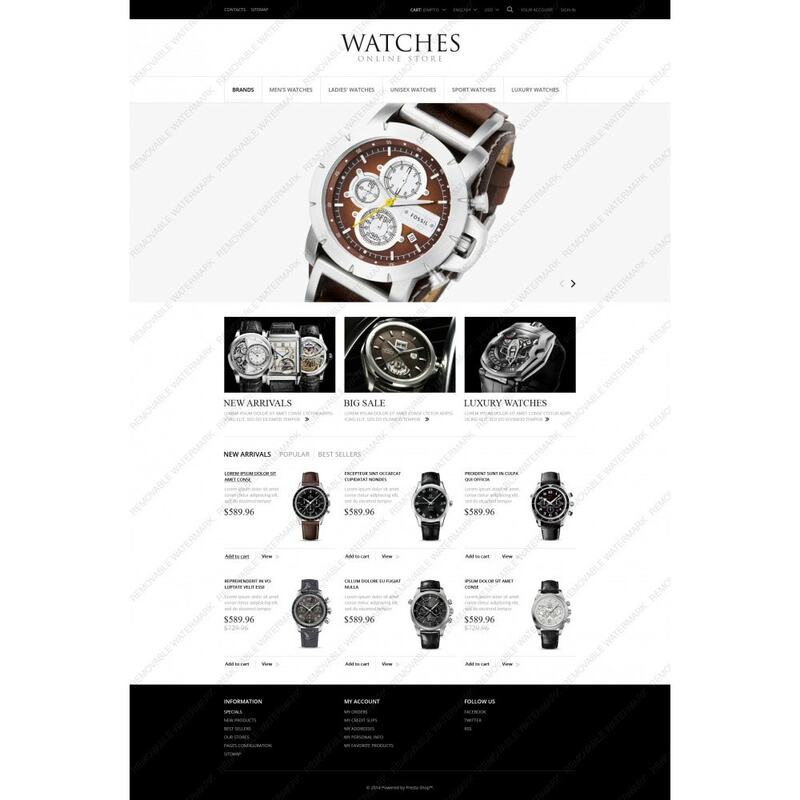 The theme was created for online watch, jewelry and accessories stores.